Cot companion to hang on child’s cot or be placed on side table. 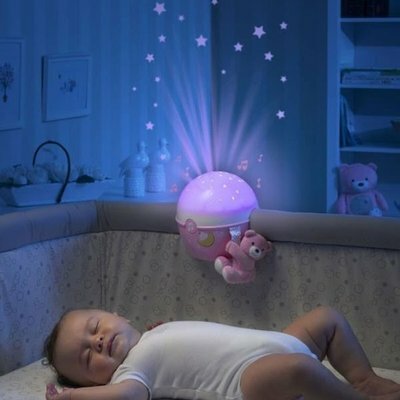 Multi-tech toy that provides star projection around room as well as music. 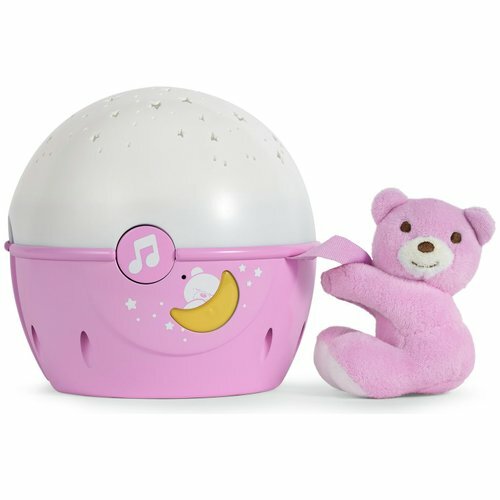 Also provides 30 minutes of soft classical or pop music. Has soft plush toy attached. Screw mechanism to be compatible with most cot types.